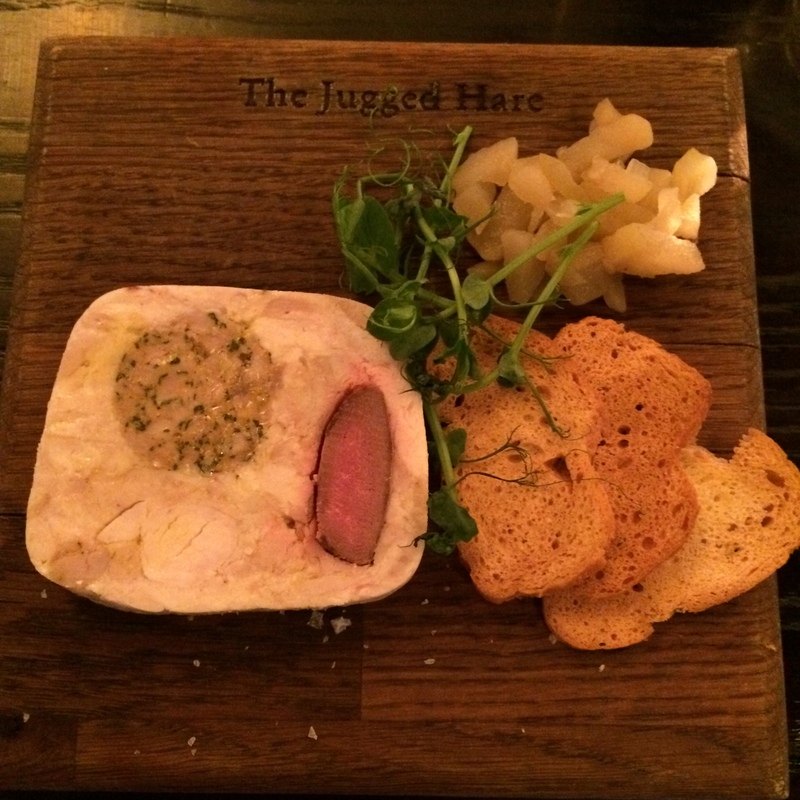 The Jugged Hare is a very cosy pub and restaurant, that I wish was closer to the parts of town where I roam the most. I was invited to their opening a few years ago and I am just as positive now after my recent visit. The interior is nice with a clear pub/bar area and a specific restaurant area. After our nice meal here we went across the street to the Barbican cinema and watched the fab film The Theory of Everything. My friend Tom had a lovely terrine as a starter (above) and then a main course whereas I chose two starters instead. 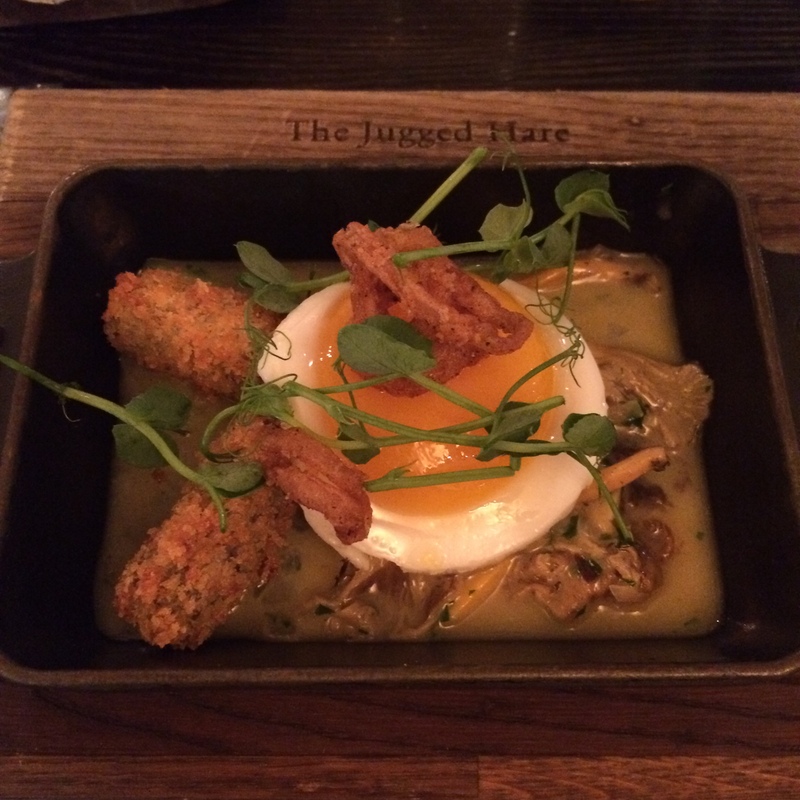 The first one was a lovely dish with croquetas, mushrooms and slowcooked egg. And the second was snails with bone marrow. The snails and the sauce were lovely but the bone marrow was breaded and deep-fried which was a little too rich for my liking. Still yummy, though! Tom’s classic bangers and mash was fabulous. 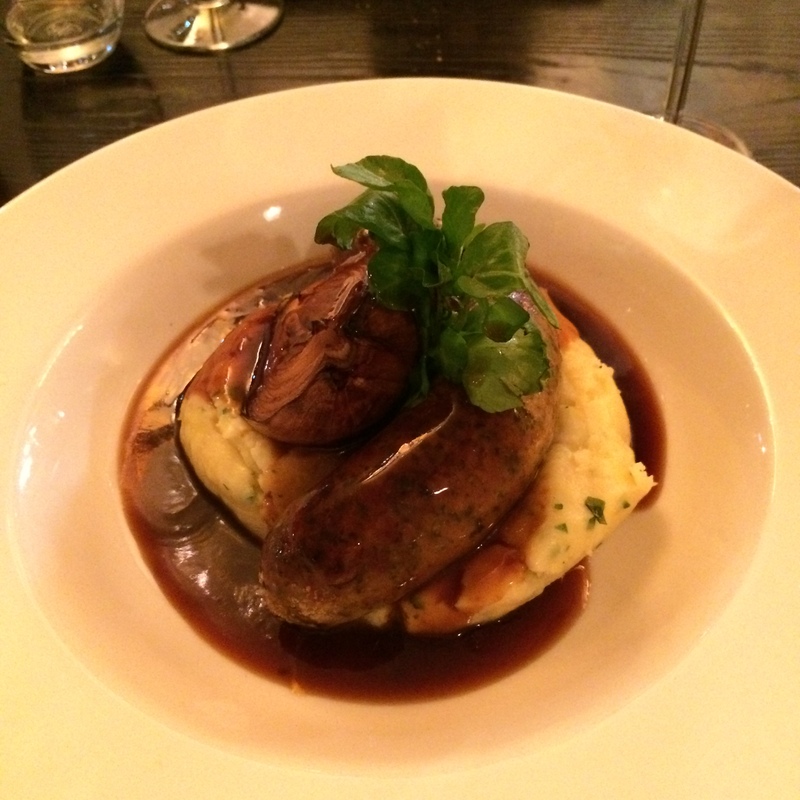 Creamy, herb-y mash, first class sausages and nice gravy! I promise to be back. Soon.